My host proceeded to demonstrate the novel premise of the game – its three-dimensionality. So I stared at the board with a dumbfounded look on my face and requested an explanation. As far as I could see, HOPE is a series of hexagonal pieces each separated into three distinct colours – in this case red, blue and purple. I raised a quizzical eyebrow at the man across the table from me and he gestured at the board, pointing along the different dimensions. If you’ve ever stared at a Magic Eye, you’ll understand the wave of joy that passes over you when you finally see the effect you’re supposed to. It’s the same with HOPE. The design of the hexes simulates the effect of a series of cubes – each colour representing a face of the cubes facing in one direction. Three colours, three directions. It all makes sense, especially if you have played the 1982 computer game Q*Bert. If you haven’t, go and look it up, I’ll wait. Got it? Good. That’s exactly what HOPE is going for. And it really works. Each player’s character has a unique benefit and each player is permitted a limited number of movements – “up”, “down”, “slide” (sideways) plus a generic move of one of those three. After that, the player is forced to change dimensions to get their movements back. 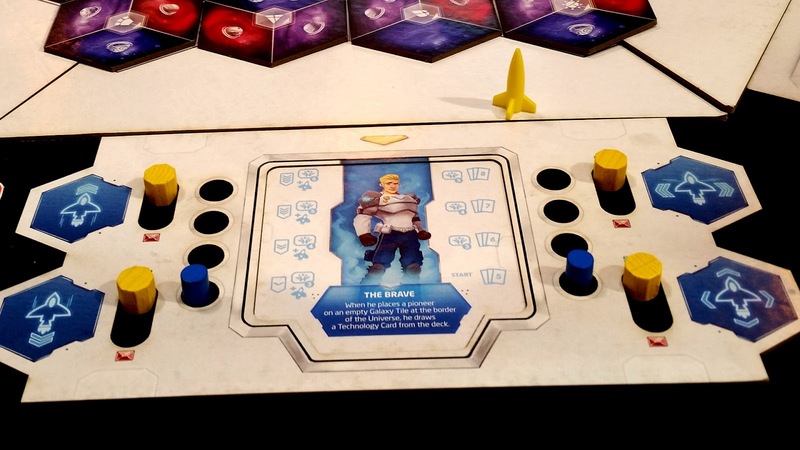 During your move, you drop off Pioneers by playing cards with symbols matching the those on the galaxy hex. There’s a varying number of planets in each galaxy and you can only “save” each galaxy by populating all the planets within, so you’re going to have to change dimensions a few times to populate each galaxy. 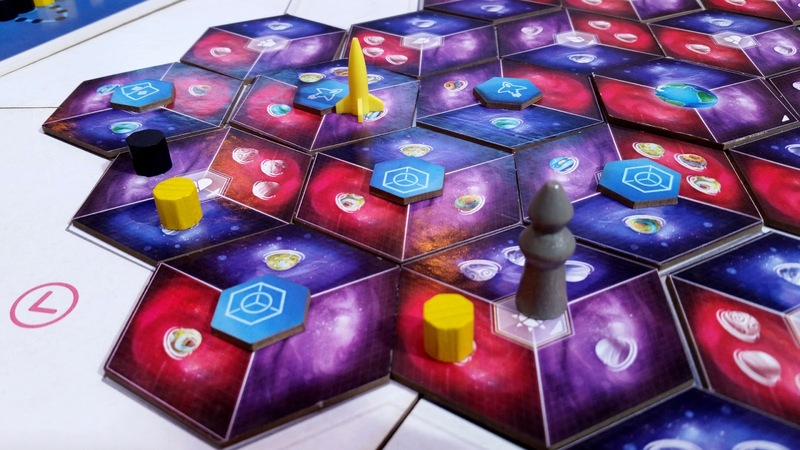 The fun strategy in HOPE comes from planning how to move in the most efficient way to drop off pioneers with the limited moves available before you rotate dimensions. Of course, as it’s a co-op game, you need to talk to each other. After each turn the Regression moves and swallows up a galaxy and moves along the track. If it gets to the end before you do, it’s game over. If you populate the track with Pioneers, it can stop the Regression from consuming a galaxy. This is an effective mechanism for making a tense game and limiting the play time to about 45 minutes. 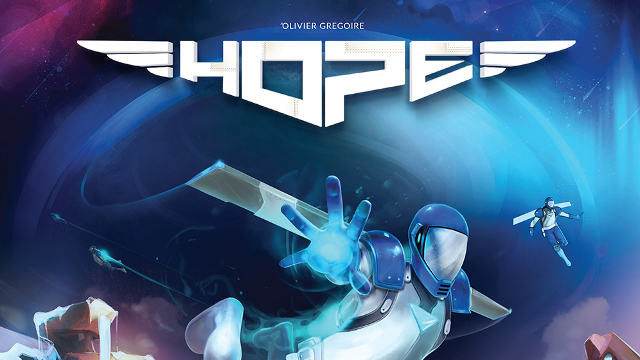 HOPE is a great looking, fun strategy game for up to four players. It’s easy to set up and once you get your head around the mind-bending optical illusion, simple to play. There’s even a few additional game modes such as the Traitor mechanic which I’m sure will add even more tension and perhaps a few swears. HOPE is due to Kickstart on 9th June 2016 and I for one will be backing it. I suggest you do too. 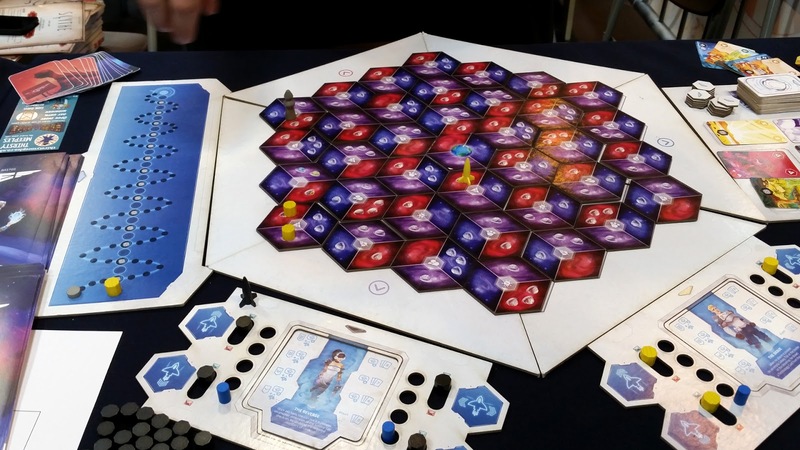 This Kickstarter review is based on a prototype version of the game played at the UK Games Expo with the publisher; the final product may look, play or smell different to that used in this article .